Kids enjoy wild and crazy shapes, which is why they will love the Maximum Series Spiral Climber. 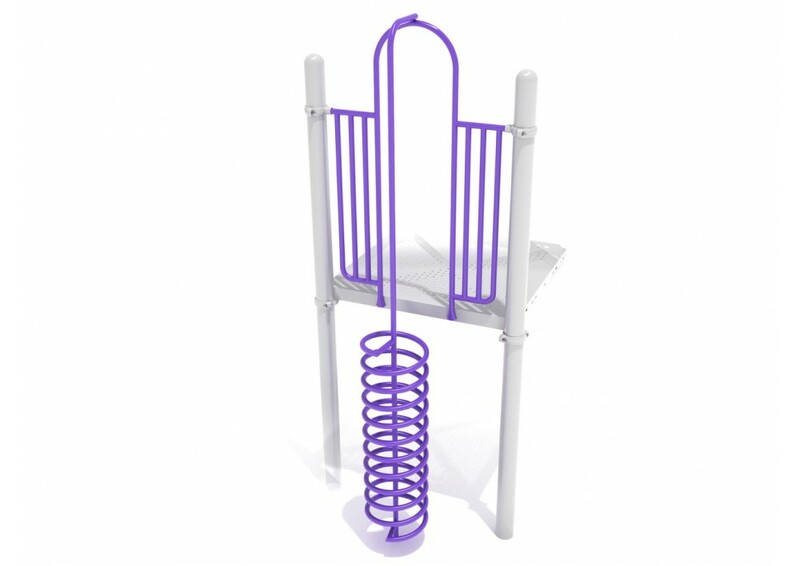 This awesome climber will put a spring in their step, while establishing your play area as a place for fun. Despite the uniqueness of its design, they are remarkably easy to climb. Children can climb up the coils of the metal spiral just like they would climb the rungs of a ladder. However the coils of the spiral are quite close together, giving it tons of ‘rungs’, and allowing kids to take steps of any size. Plus, its round shape means that children can climb it from any side. Taller Spiral Climbers can be used to reach deck platforms of just about any height. Customizable color options allow the Maximum Series Spiral Climber to fit in with any play structure that it is added to.